Ah, tricky proposition. There is a difference. Sometimes ethics is easy and clear cut. Other times, the water gets murky. In regards to reporting code violations, coughing up confidential information, etc. when the rules aren’t quite so clear, it can be very tough to employ a solid set of business ethics. Where do your ethics lie? Check this Forbes article out that explores the difference between ethics and business ethics. Marvel Comics’ most notorious villains is now immortalized in the latest Venom movie, based on the popular Spider-Man spinoff character. This action-packed trailer showcases the film’s wild alien effects and it looks to be a blockbuster. 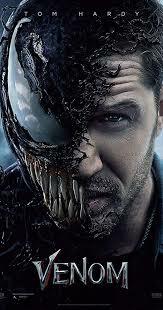 Hitting theaters in just a few days — October 5 — Venom will feature The Dark Knight Rises star Tom Hardy as Eddie Brock, a journalist who is the host of a powerful, symbiotic alien that provides him superhuman abilities. Being successful in business is one thing, but to be successful in your personal life too? A thing of beauty. How do you achieve both? Inc. explores ways to achieve success in both areas, as told through stories by entrepreneurs who have lived it. What have we learned from NBA pre-season opener? Well, the 2018-19 campaign is off and running as the LA Lakers played their first pre-season game, losing to the Denver Nuggets, 124-107. Mostly sloppy play here but there were some promising pieces in there too. However, just like in every other sport, pre-season basketball can be misleading, with no clear determining factors for success or failure later on in the regular season. Coaches play with different lineups as they feel out athletes’ strengths and weaknesses. If this article doesn’t give you a panic attack, I don’t know what will. It’s a bit of read but well worth it. This guy invested $3,000 in Bitcoin, couldn’t remember his backup software PIN, was penalized every time he tried the wrong one, and eventually faced losing the entire value of what he had built up. With help from some online techies, he was able to finally recover his PIN and his initial investment after months of stress.